We all knew this was coming, but it doesn’t hurt our wallets any less. Disney has just announced that Star Wars: The Force Awakens is coming to 3D Blu-ray November 15. The four-disc set will include a feature commentary by J.J. Abrams and new deleted scenes. Which, honestly, are the biggest selling points. The 3D will surely look great at home (I’ve almost always had better 3D experiences at home than the theater) but it’s those new features that get me. What will Abrams say? What are the deleted scenes? The answers are probably “Not Much” and “Things not as exciting as the first release,” but it’s still intriguing. Here’s a trailer, of sorts, for the 3D version. It’s basically just a scene that’ll look great in 3D, and features my favorite non-Rey cue from John Williams’ score. Audio Commentary with J.J. Abrams – Enter the mind of visionary director J.J. Abrams as he reveals the creative and complex choices made while developing the first film in the new Star Wars trilogy. Foley: A Sonic Tale – Foley artists, consisting of old pros and new talent, unite to bring the world of “Star Wars: The Force Awakens” alive through the matching of sound to action. 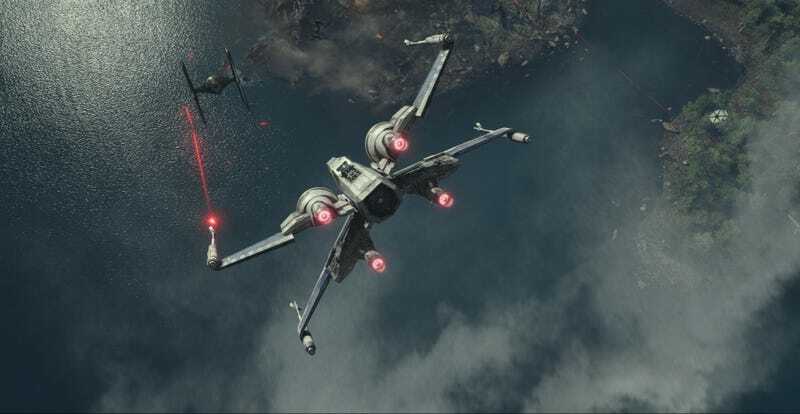 Sounds of the Resistance – Hear how the epic sound design of “Star Wars: The Force Awakens” moves the Star Wars legacy forward. Deleted Scenes – View never-before-shared scenes that didn’t make the film’s final cut. Dressing the Galaxy – Costume Designer Michael Kaplan reveals how the costumes of the original Star Wars movies were re-envisioned for a new generation. The Scavenger and the Stormtrooper: A Conversation with Daisy Ridley and John Boyega – The two new stars share the thrill of working together on the adventure of a lifetime and becoming part of the Star Wars legacy. So if you didn’t buy this already, you’re in luck. If you did, well, welcome to Star Wars.